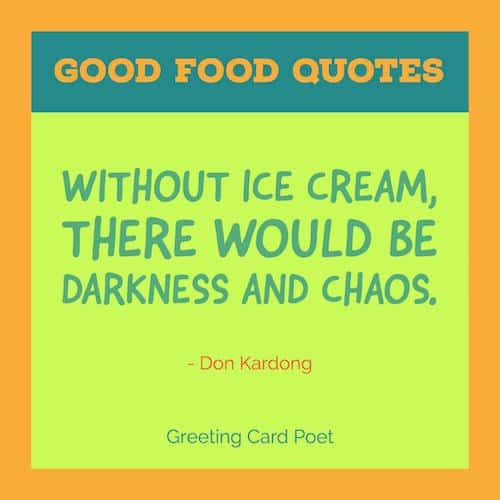 Our collection of 51 Good Food Quotes will either have you heading to the refrigerator or laughing. Some might call this a win-win. Someone once famously said that “the way to a man’s heart is through his stomach.” Food can truly move hearts, win you friends and make amends in relationships where other things may not work. More things have been said about food in history than almost anything else – except maybe love. You don’t have to be an avid foodie to think of food. Delicious foods have to power to influence anyone and everyone. 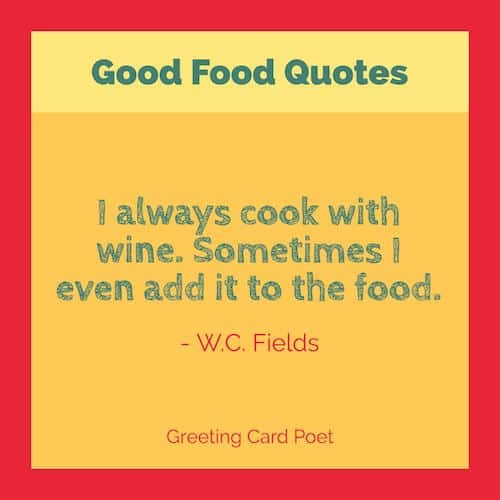 Here are some good food quotes you can share with your friends and family or find interesting yourself. Perfect happiness would be knowing that all my family and friends were happy and safe. Good food and dancing would be nice, too, and weekly visits from those safe and happy family and friends. Plus world peace. There is no “WE” in food. I always cook with wine. Sometimes I even add it to the food. 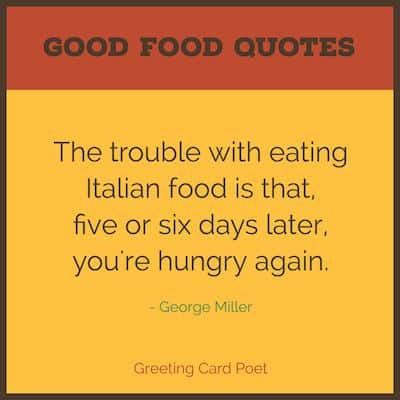 The trouble with eating Italian food is that, five or six days later, you’re hungry again. I would like to find a stew that will give me heartburn immediately, instead of at three o’clock in the morning. Red meat is not bad for you. Now, blue-green meat—that’s bad for you! Vegetarians are cowards. They just kill things that can’t move. Snack time heals all wounds. Mayonnaise. One of the sauces that serve the French in place of a state religion. You might like: Motivational weight loss quotes. Over weeks and months …you will get addicted to the awesome taste of healthy food…and start wondering why you never did it earlier! Healthy people are those who live in healthy homes on a healthy diet; in an environment equally fit for birth, growth work, healing, and dying. The healthy man is the thin man. But you don’t need to go hungry for it: Remove the flours, starches and sugars; that’s all. Proper nutrition is one of the most fundamental things on which anyone’s healthy and happy life can be based. 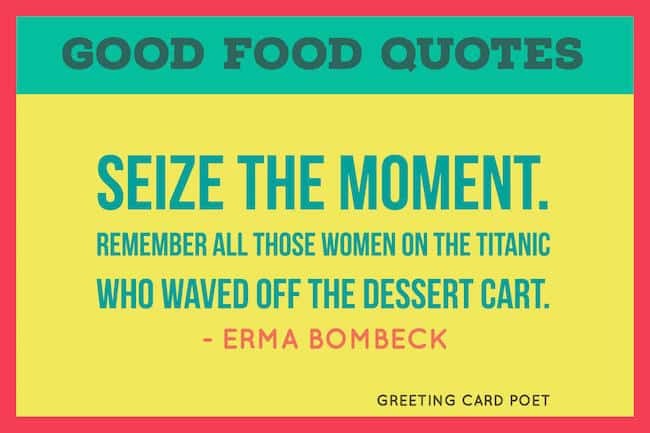 Tip: These good food quotes make nice captions to photos featuring plates of food. I feel that good food should be a right and not a privilege, and it needs to be without pesticides and herbicides. And everybody deserves this food. And that’s not elitist. Patience is the secret to good food. 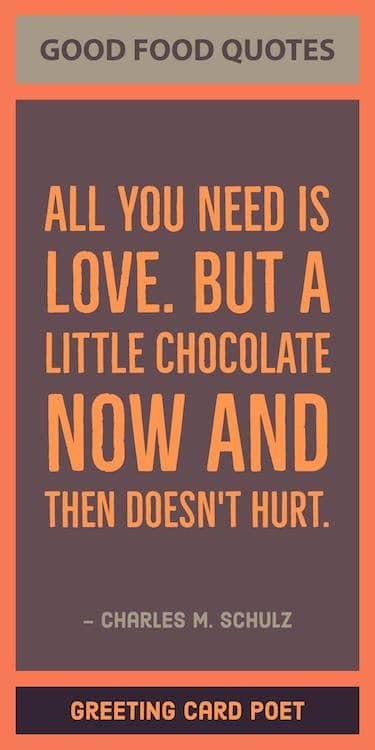 You’re on 51 Good Food Quotes.